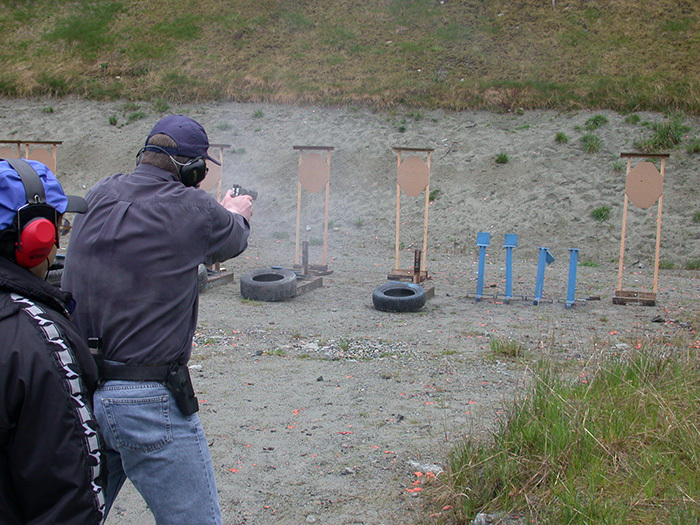 IPSC shooting is dynamic and challenging, and one of the fastest growing shooting sports in the world today. 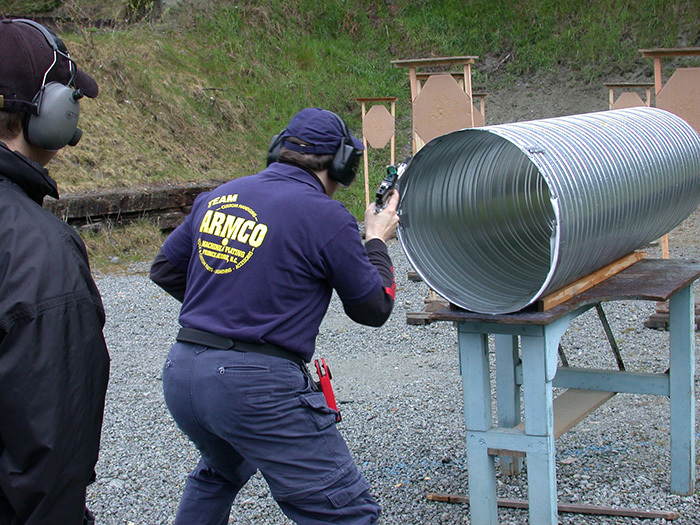 Courses of fire utilize many aspects not found in the other more traditional shooting disciplines, such as movement by the shooter, drawing from the holster, moving targets, multiple targets, and the freedom for the shooter to solve the shooting problems presented by the stage design. 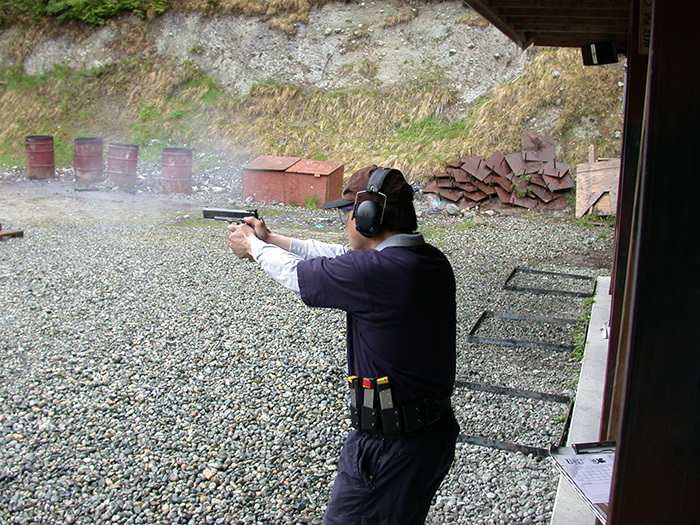 IPSC is participated in by thousands of shooters around the world, and BC has one of the largest section in Canada. 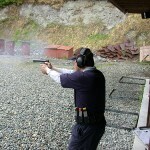 People who wish to take part in IPSC must take the Black Badge Training Course. This will go over the rules of the sport, gear and equipment, and teach your how to use your holster, grip and aim your gun, stance, and sighting. The course will put you through various shooting distances and obstacles that you may find in a match. Contact Clarence Weatherby or Andrew Tomlinson for more information. -A handgun in 9mm or larger, 3 or more magazines, a stiff belt, a safe holster that covers the trigger guard, and pouches/holders for your magazines. You will need about 400 rounds of ammo for the course. 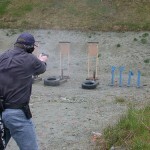 What kinds of people compete in IPSC matches? 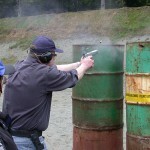 As in any other popular sport, a wide variety of people enjoy IPSC shooting matches. Our membership spans almost every occupation, from craftsmen to executives. We are also fortunate to have many women involved in our shooting programs. 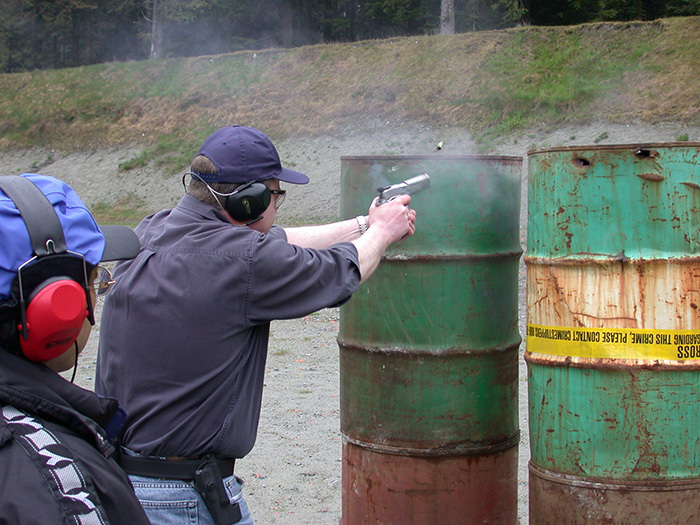 It is not unusual to find husbands and wives or entire families participating in IPSC shooting activities. All of the people at our competitions are strong believers in safety and safe gun handling as well as good sportsmanship. Absolutely! All of those currently competing were once at the beginner stage. By becoming active in matches hosted by an IPSC club you will have the advantage of qualified range officials and courteous range staff. 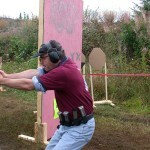 You will normally find IPSC shooters are pleased to give a hand in getting you started. By using a classification system for all competitors, you can be assured that you will be facing competition of an equal skill level. A good way to get started is to ask for assistance. We'll always help. 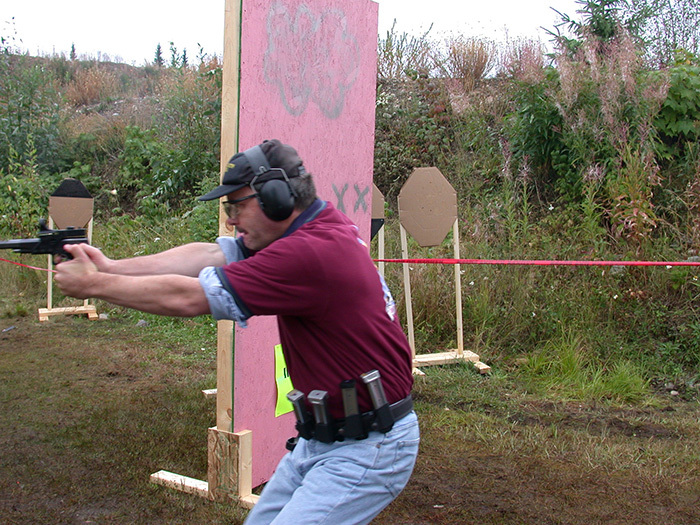 You will see standard stock handguns as well as exotic custom guns in IPSC pistol competitions. We recommend that you determine what the best choice is as you begin to compete. IPSC offers many benefits to its membership, and the price of membership is probably less than a couple of boxes of ammunition. You will be a member of the organization that is helping to promote and develop the sport of IPSC shooting. You will have a direct influence on the directions that IPSC shooting will take in the future. You will usually receive a subscription to the national newsletter which will offer information on shooting, match schedules, and many other aspects of IPSC competitions. You will be eligible to join and to participate in shooting activities at the local, regional, national, and international level. Each member should have an official rule book which details the regulations and scoring systems used in IPSC shooting. 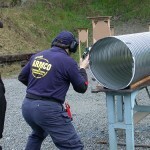 You will receive support from IROA, and the National Range Officers Institute (NROI) who conduct clinics to improve shooting and to train Range Officials for competitions. You will be a participant in the most dynamic and challenging shooting sport in the World!